Over the past year, more and more people will hold the outdoor exhibition, but how to find a place ? For the building, the cost is very high, and the size is not large enough, so how to solve the problem? 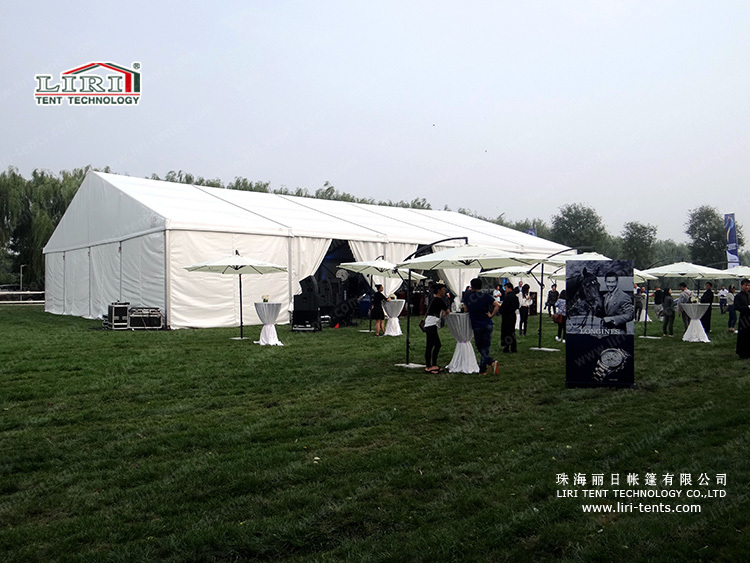 A big exhibition tent will help you. 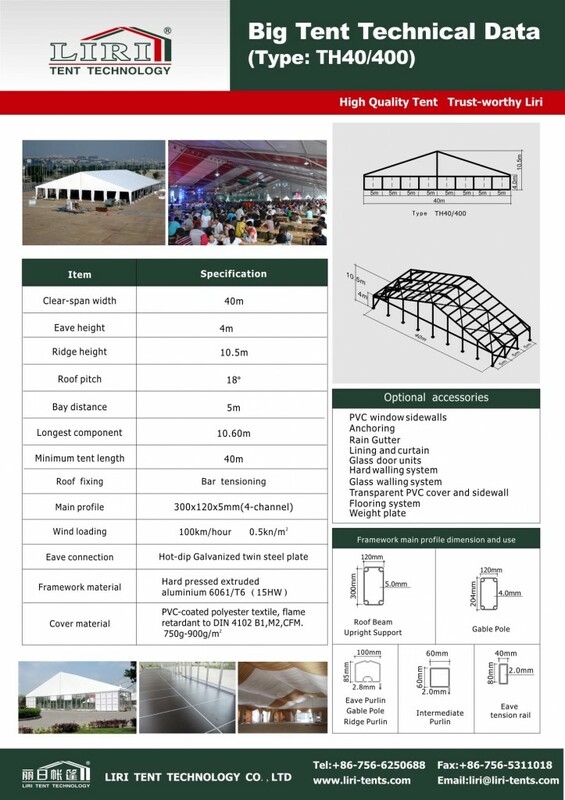 For the exhibition tent, the normal eave height will be 4m. This tent will be the modular design enables the tent to increase or decrease its length by 5m bay basis. Full line accessories are compatible for this series. Customized design is available. After the exhibition, it can also use for other purpose with different kinds of accessories. It is very convenient and also can move from one place to another place. 40m clear span tent, with 300x121x5mm main profile, which is a strong enough for the outdoor purpose.